Another installation of my ABC Challenge here for you! One of my three letter for this month... DONE! I'm officially over half way done with my quest. Feels good to have half the alphabet under my belt... but the tough letters are still to come. I still have no idea what I'm going to do for Q, X, Y, and Z, lol. But those letters are still a while off. Newsies, in case you haven't heard of it, is a Disney movie from the early 90's that has more recently been transformed for the stage as a Broadway musical! Disney and a musical? I was bound to love it. :3 It's about a group of Newsies in 1899 who strike against a money-hungry newspaper tycoon. It stars Christian Bale (who sings and dances in this movie) along side Ann-Margaret, Robert Duvall and Bill Pullman. It's based on a true story, has really cute songs and dance numbers, and is crammed full with really cute boys. Do I need to state again why I love this movie? The musical translation was... okay. Not nearly as good as the movie but I guess I can't really say anything considering I have yet to actually see it on stage. But I hope to see it one day. The design is simple enough. Almost too simple. This took me (no lie) an hour to do. 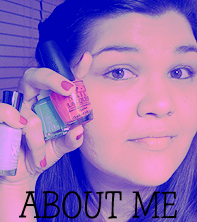 I painted my nails with a base of Sand Tropez by Essie and let it dry completely. I then grabbed a newspaper and cut some text into some 1 inch by 1 inch squares. Taking a small cup of rubbing alcohol (or vodka), dip your finger into the liquid and hold it there for a few second. 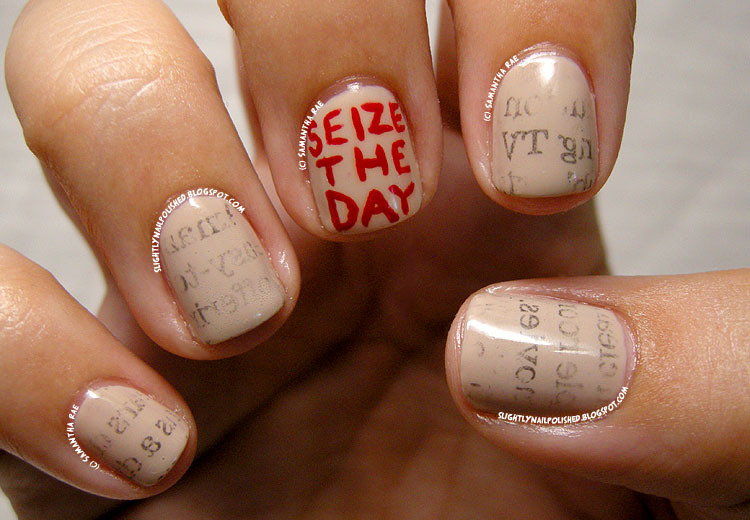 When you take it out, immediately press your newspaper, text side towards your nail, and press firmly for a few seconds. 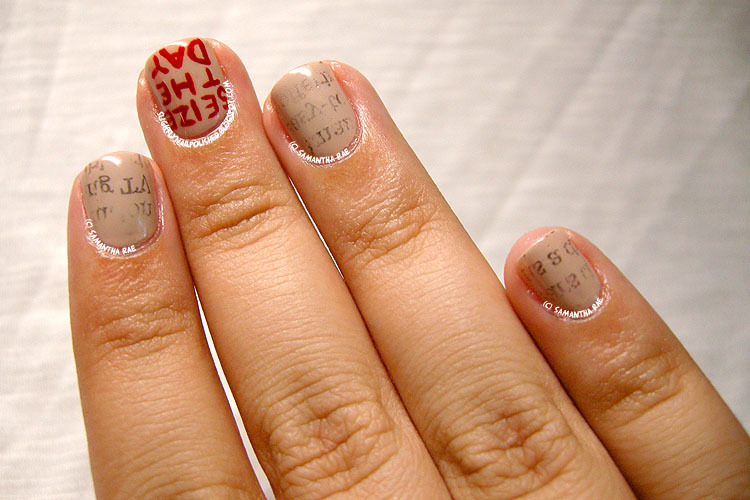 When you take the paper away, the ink from the newspaper has transferred onto your nail! Easy as that. 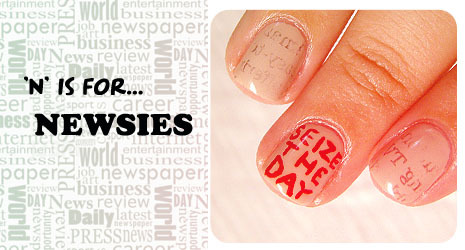 ^_^ I then wrote "Seize The Day", quoting one of the songs in the musical, with red, acrylic paint. A layer of topcoat and FINI! All done. I really hope you like this design. ^_^ Have a great day!